Nestled on Dean Street between Hoyt and Bond Streets - a lovely tree lined block in Boerum Hill. This charming Upper Duplex 2 Bedroom 2 Bathroom with an office/den is in the heart of it all!! Enter up the stoop then one flight up. High ceilings, northern and southern exposures that fills the duplex with light. Lots of beautiful details including a 4 decorative fireplace mantels and a gracious living room, separate dinning room and a newly renovated kitchen, washer and dryer in unit. Stunning original hardwood floors throughout that have all been refinished. Non Smoking building, Sorry no pets, April 15th.First showing Monday April 8th.Trader Joe's, NYSC and all the restaurants on Smith and Court. A short walk to the Borough Hall subway 2, 3, 4, 5, only a few blocks to the Bergen Street F/G Station an the A/C. 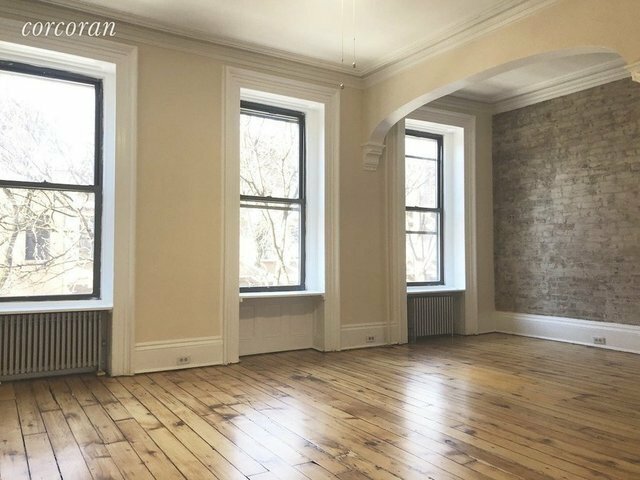 Great opportunity to move to Brooklyn's best and most convenient neighborhood! Heat and hot water included.